good god, are you kidding me?? Total political witch-hunt. They can’t try Blair for war crimes but they an jail Tymoshenko for 7 years for some gas deals? If I remember correctly (which I probably don’t) this was when there was a big question over gas coming into the EU because all Russian gas is routed to us through Ukraine so she basically realised the power Ukraine had and bartered a better deal out of Moscow. anyone care to correct me here? Am I really expected to believe that this woman is not entirely fictional? Russia still has some colonies, eh? Such a shame. She’s such a doll ! 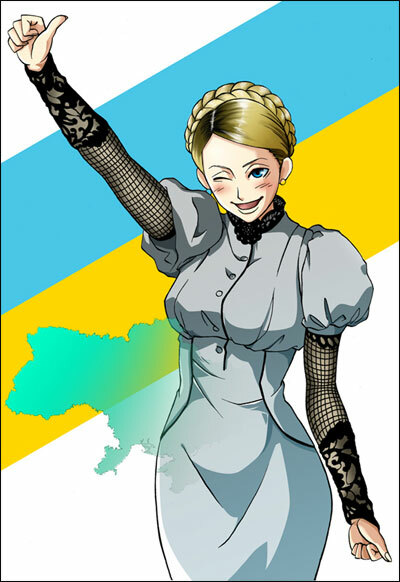 To be fair, Tymoshenko has been horrible for Ukraine, but no less than Yanukovich himself… Just another step backwards for my homeland!